Today’s vinyl flooring in Toronto is not the budget material of decades past. Its incredible versatility, realistic, high-end finishes and strength it boasts, make it a real contenderin the market of low-cost but excellent flooring materials. There are plenty of benefits, yetstill a few drawbacks for this popular material. Please see our list of pros and cons to help you determine if vinyl is right for you. Vinyl floors carry a competitive 100% moisture resistance rating. This allows it to be the flooring of choicefor rooms such as kitchens, laundry rooms, bathrooms, mudrooms and even damp basements. Toronto vinyl flooring is hard to damage. The durable nature means it can last 20 years or more with proper care. Nearly impervious to heavy foot traffic and pet-related scratches, you won’t find any chips, cracks or warping on your floors. A growing practice is applying an antimicrobial coating to luxury vinyl planks. It leads to cleaner floors and a much longer, 5-second rule-perfect for kitchens. Vinyl floors can be styled to the extreme. The newest, luxury vinyl tile products mirror the high-end look of wood and stone, colours from neutral to bright and textures that look and feel natural. Though with any flooring material, there will be some maintenance, vinyl’s upkeep is remarkably simple. Arguably the easiest flooring material to maintain, with a quick sweep and damp mopping, your vinyl floor is clean and ready to go. Vinyl also boasts an extremely competitive price point. With the low cost of vinyl tiles, planks or sheets, and quick installation, vinyl wins for budgeted flooring and DIY capability. Applied directly to the existing floor, vinyl is a click, snap and set away from transforming your space. Vinyl flooring isn’t biodegradable and not as easy to recycle. Vinyl is durable, but not invincible. While the amount of blunt wear and tearit can take is almost second to none, it will mark due to sharp objects and heavy furniture that pierce and scratch it. Vinyl surfaces can be susceptible to staining and bleaching in the sun. Older varieties often fade if exposed to sunlight for too long – though newer floors are much more resistant to this type of influenceand contain built-in UV protectants. While spills can be wiped up quickly to prevent staining, things such as rubber from shoes or doormats can mark your vinyl. While vinyl can be applied directly on top of existent flooring, if any bumps or imperfections exist on the old floor, they will show through because the flooring is reasonably thin. Be sure to clean and smooth your subfloor carefully before application. If you need help, enlist the services of an installation professional. Vinyl won’t bump the resale value of your home – but, beautiful to the eye and to the touch, few materials can so quickly and affordably finish a space with a warm and luxurious feel. 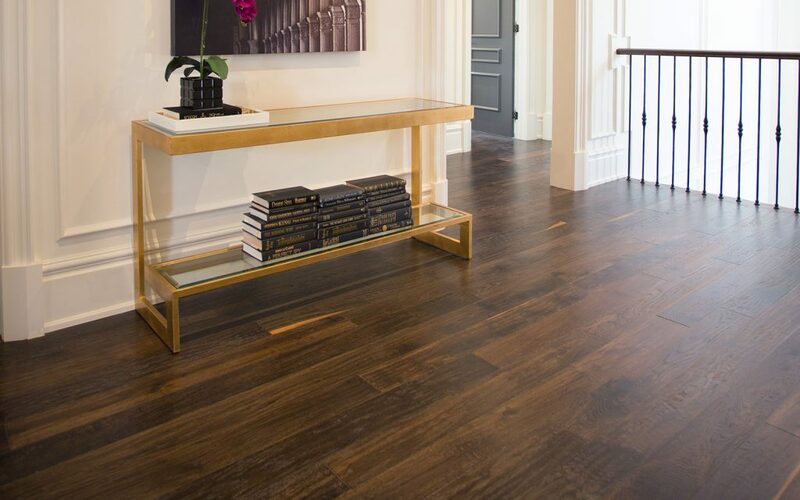 It’s ultimately up to you to decide whether or not to select vinyl floors for your home; however, even with its drawbacks, it’s worth taking note of the impressive flexibility and possibilities this product offers. 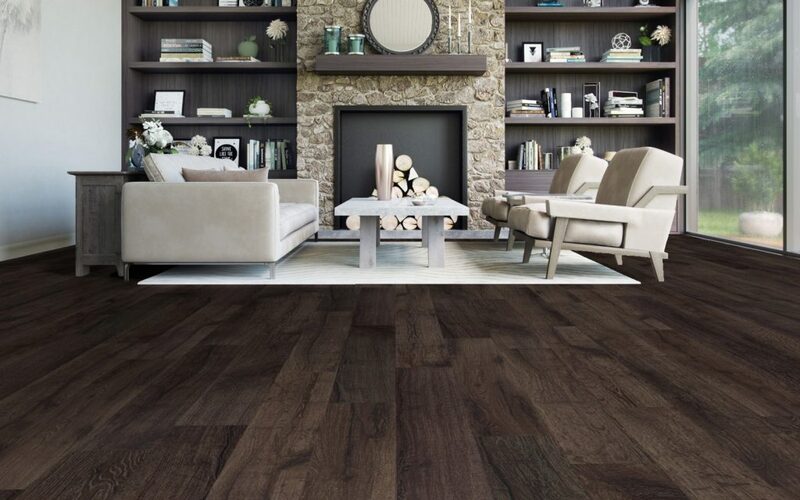 Toronto vinyl flooring is a decorator’s favourite,and we’re sure that you and your home will love it too.